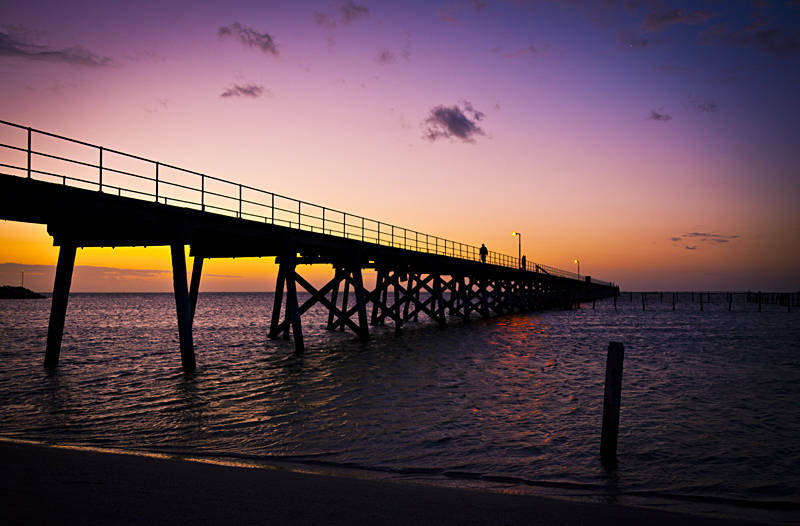 This silhouette was taken at Streaky Bay in South Australia. We only stopped there briefly as there were no free campsites nearby. So far Western Australia and New South Wales have had the most free campsites and Victoria and South Australia have had the least. Fantastic colors and framing with the bridge !! Thanks, I used some subtle split toning to boost the colours. Wow, great sunset shot ! Great tones !